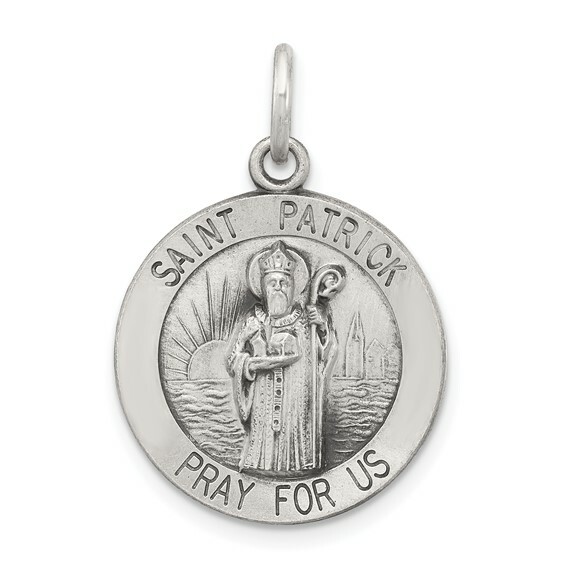 Solid sterling silver St. Patrick medal. Weight: 2.23 grams. Measures 5/8 inch tall by 5/8 inch wide without bail. Patron saint of Ireland. Chain not included. This item is smaller than a dime.